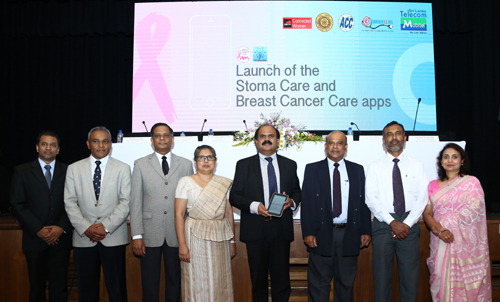 Mobitel, in collaboration with the University of Kelaniya and the Arthur C. Clarke Institute for Modern Technologies, is launching two interactive mobile apps for stoma care and breast cancer care. As the first phase, it will cover these two cancer types with plans to expand further into different cancers according to the requirement. The necessary medical input, including content and its accuracy, validity and terminology, will be provided and supervised by the Department of Surgery, University of Kelaniya, and the Information & Communication Technology Centre (ICTC), University of Kelaniya. The content of the apps will be available in the Sinhala, English and Tamil languages for the convenience of patients.